Target shooting makes you good at “Target Shooting”. Defensive Shooting requires add-on skills. 1) How do I choose a handgun? 2) What should I do for basic handgun training once I buy one? After teaching thousands of students around the world, I’ve come to believe that first time shooters who buy a handgun for self-defense need to take a course of instruction that gives them skills to use their defensive firearm, wait for it… Defensively! Now when I say things like this my some of my peers don’t agree with me. But, think about it, you don’t take a drivers course to learn how to operate the vehicle, then go take another course to learn how to drive on the street. Then go and take another course on how to drive on the freeway. You take driving lessons to learn how to drive. 10X Defense has trained many first time shooters in our flagship course, “Combat Focus® Shooting.” Some say this course is too advanced for first timers. WRONG! It’s the perfect course for someone who wants to learn how to use a handgun for self-defense in the context of an ambush moment. 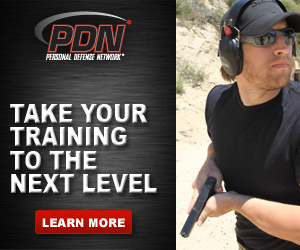 I now recommend first time shooters to take our Introduction to Defensive Handguns (IDH) course (aka Introduction to Home Defense Handgun course). Since most shooters buy a handgun for Home Defense why not make their first course match the context of use. I’ve also found that there are experienced shooters that would benefit from our IDH, because we don’t just teach handgun use in a home defense situation. We also cover home defense tactics (storage, barricading, contacting police, etc.) . Current clients with shooting experience have found IDH to be a big eye opener. Let’s get away from Lowest Common Denominator training and shift to training in context. Train as realistically as you can, because you don’t know what may happen after your training session. Be Vigilant and Be Safe! Take your first step as a prospective, new, or experienced handgun owner and sign up for our Introduction to Defensive Handguns course RISK FREE! Yes, we have a 100% courtesy refund on all our courses if you do not feel our training has met your expectations!